Amazon.com has added a “Click to Look Inside” to Digger’s Bones. You can read the first scene where Angie Cooper meets her nemesis. Click to open the Look Inside reader. Digger’s Bones now has a fan page on Facebook where you can discuss the book. 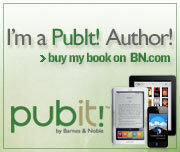 Are you on Goodreads? If not, you should be. It’s a great place to find out about books of interest as well as join reading groups online and locally. Take a look and join in on the fun! Digger’s Bones has finally arrived in print! If you’ve been waiting to get your hands on the print version click here. It’s a full size trade paperback at 326 pages. Archaeologist Angie Cooper’s colleague and friend, Tarek “Digger” Rashid, is murdered in front of her. But not before giving her cryptic photographic clues to a hidden tomb and the two thousand year old bones within. Angie must battle a ruthless hitman, hired by a U.S. senator with presidential aspirations, and a sociopathic religious zealot while overcoming severe acrophobia. Caught in a web of lies, deceit, and betrayal, she works to unravel the secret of Digger’s bones. Bones that affect the lives of all they touch. Digger’s Bones is an action packed thriller that takes you from the churches and burial tombs of ancient Jerusalem to the harrowing cliffs of Bandelier National Monument and the glacier capped Zugspitze in Germany. 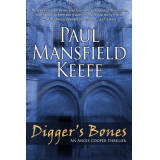 Angie Cooper, her career in shambles, finds herself on the run from mercenaries, the Holy See, the FBI, and Interpol while trying to solve one of archaeology’s great mysteries. Yet some things are better left in the past. 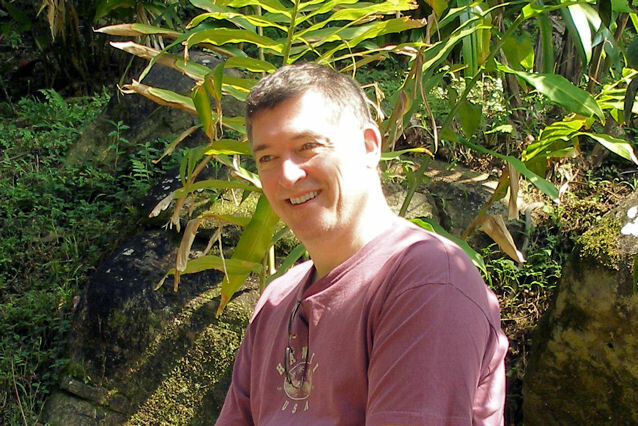 You are currently browsing the Paul Mansfield Keefe blog archives for November, 2010.